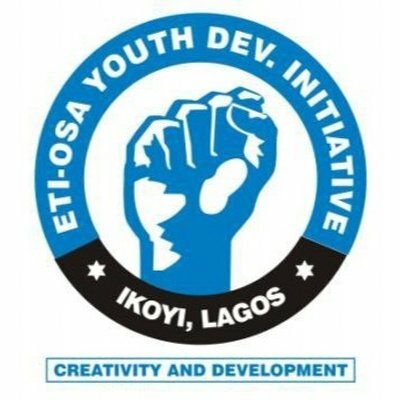 The Eti-Osa Youth Development Initiative (EYDI) is a community based non-governmental initiative, necessitated by the people of the Eti-Osa community in Lagos Nigeria and initiated by AYODEJI MARTIN LAURENT in 2011. 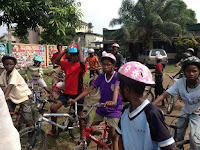 The idea of its conception rose from the craving need for social development- parents were worried about their kids socio-economic wellbeing against the diversity of a fast changing world socially. An interface between the government and youth was needed to intercede, communicate development and translate it into benefits on behalf of their parents. 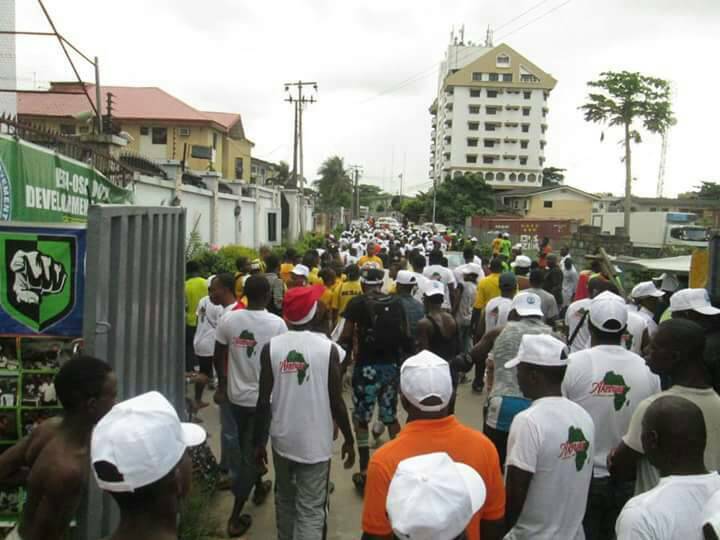 EYDI is placed as a shoreline: a bridge where government and its people could meet on a platform of community mobilization and implementation. It was put together by the patience and communal effort of the EYDI board of trusties as registered in cooperate affairs commission. 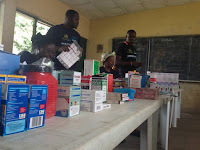 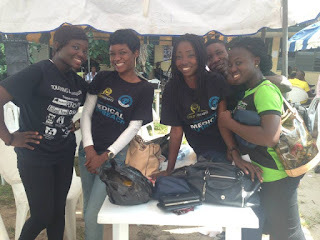 Participation and partnership also come from various NGOs like the Quick Medical Consult, Lagos state Department of Health, Lagos state Department of Medical Research, Center for Democratic Literacy, Golden Hearts Foundation and members of the Eit-Osa community. 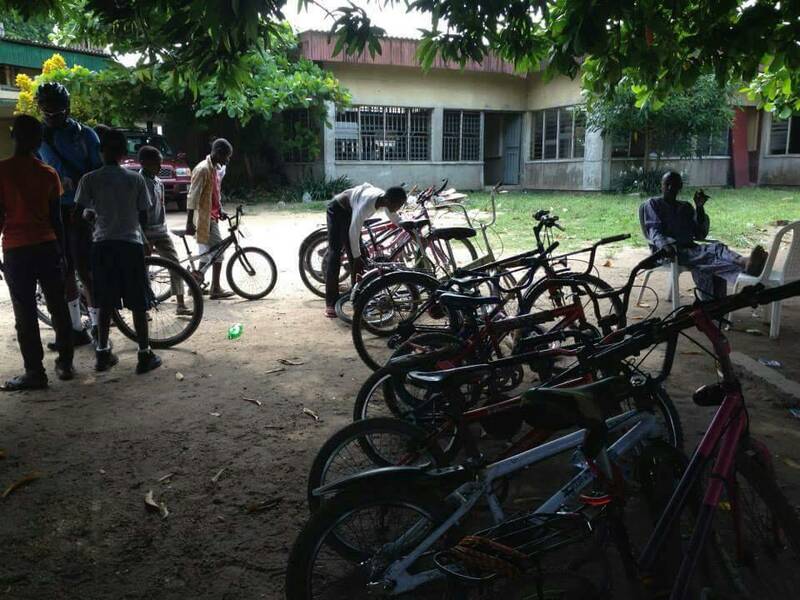 EYDI is mainly designed to cater for the youth and the development of their talent. It is first an entertainment NGO creatively crafted as an attraction to educate, inform and provide aid. Whether it be, sports, health aid, education. EYDI channels all projects through its main objective- Entertainment! 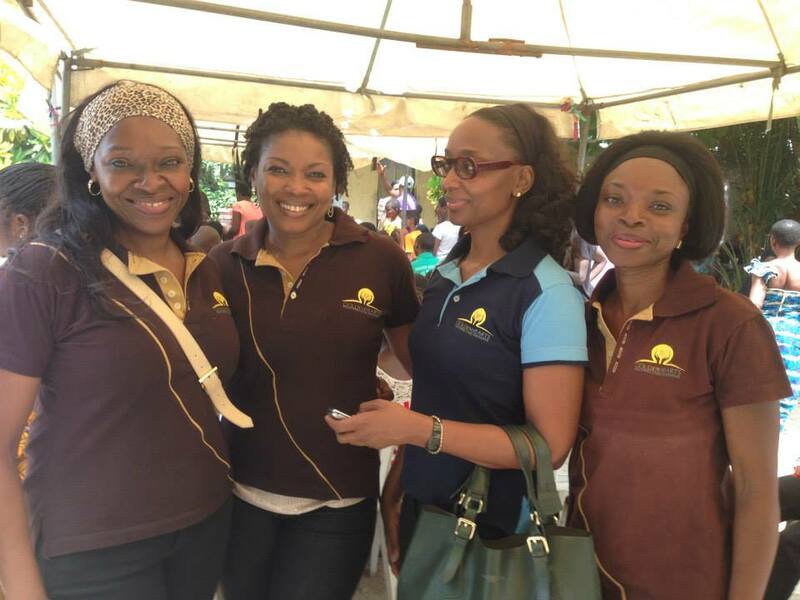 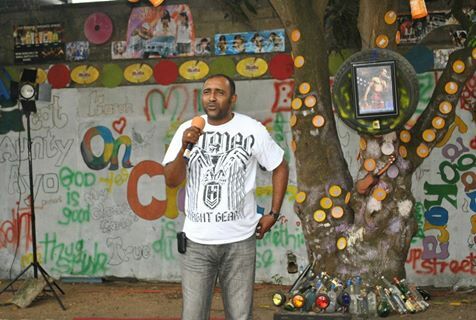 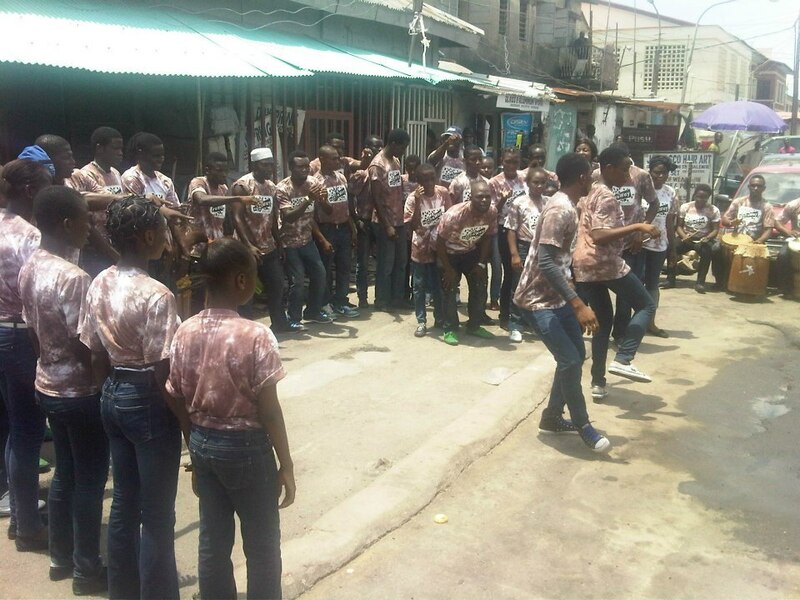 THE BORN THROWWAY PROJECT FOR INNER CITY KIDS which was held at Obalende. 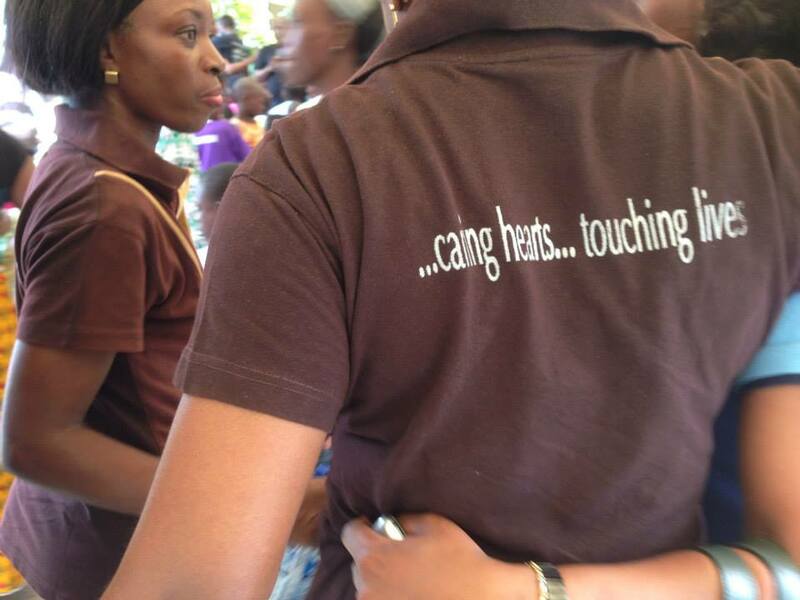 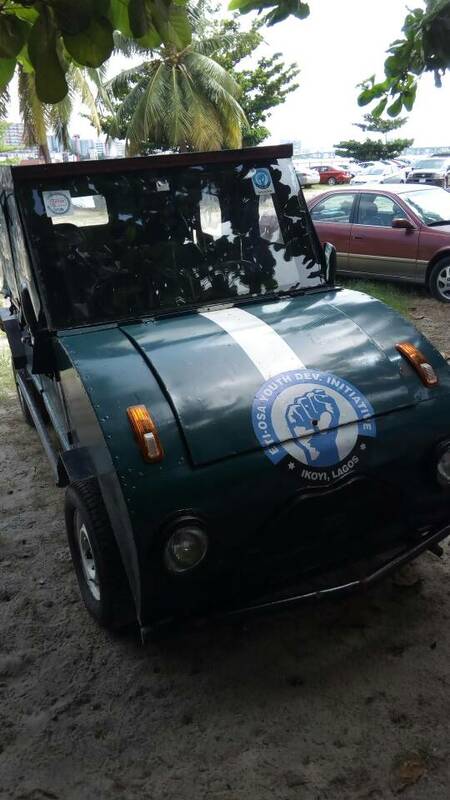 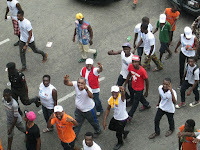 It was designed to interact with youth all over Lagos. 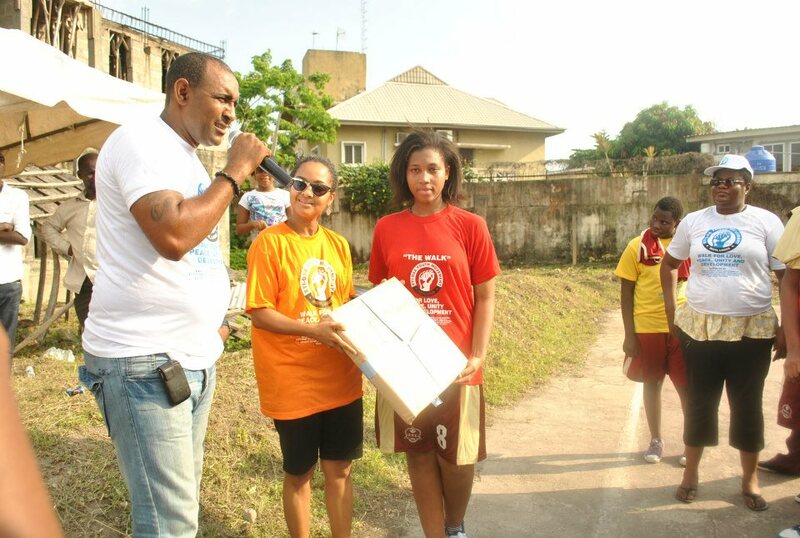 Certificates of Participation were given to talented youths. 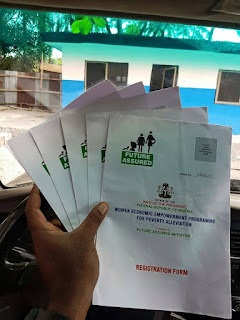 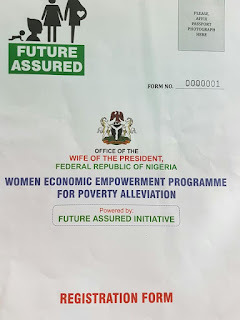 5 Women Economic Empowerment Programme for Poverty Alleviation registration forms, were given to women of Eti-Osa from The Office of the Wife of the President, Federal Republic Of Nigeria, Patience Jonathan, by EYD. 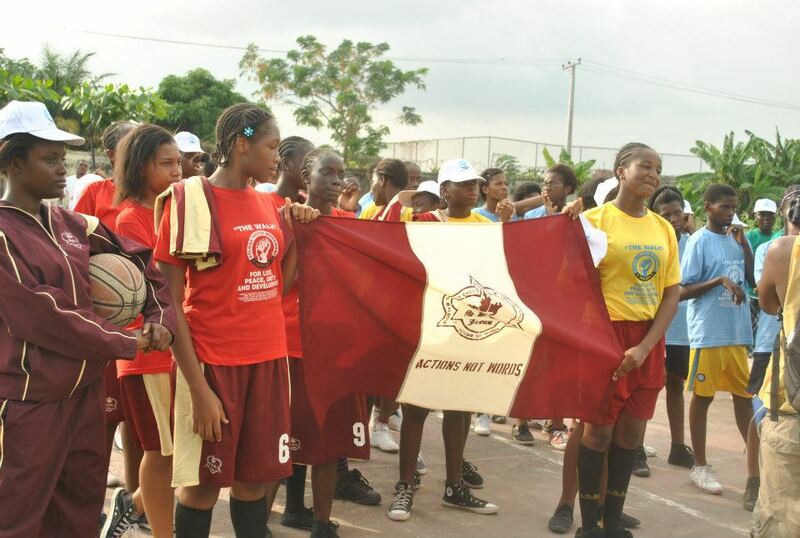 It organized the EYDI Girls Secondary School Basketball Tournament at The Holy Child College (HCC) Obalende on December, 2012, in which four schools qualified for the finals - Holy Child College, Girls Secondary Grammar School, Obalende, Our Lady of Apostles and Scared Heart Secondary School, Apapa. 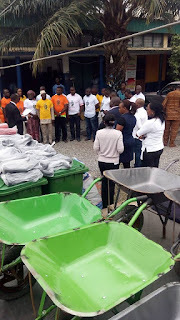 On July 2016, it started the EYDI PICK A LITTER PROGRAM - a community environmental and health sanitation program, which started from Wednesday 27th July - Friday 29th July and has become an annual program. 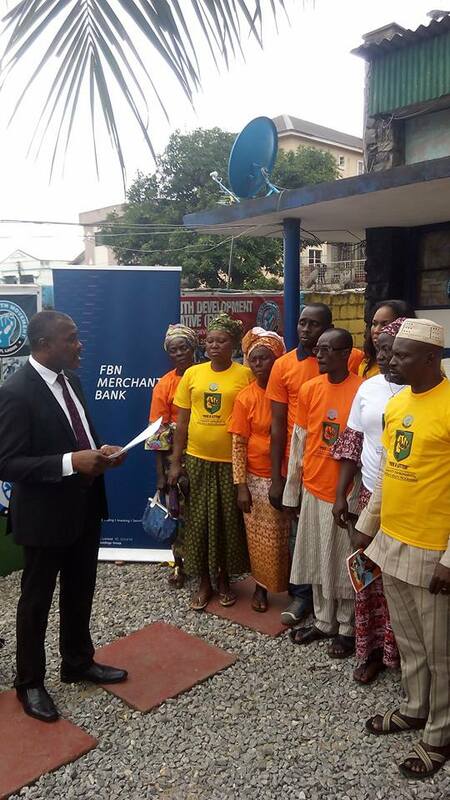 This was supported by First Bank Nigeria. 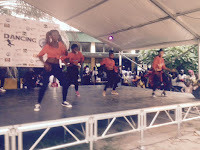 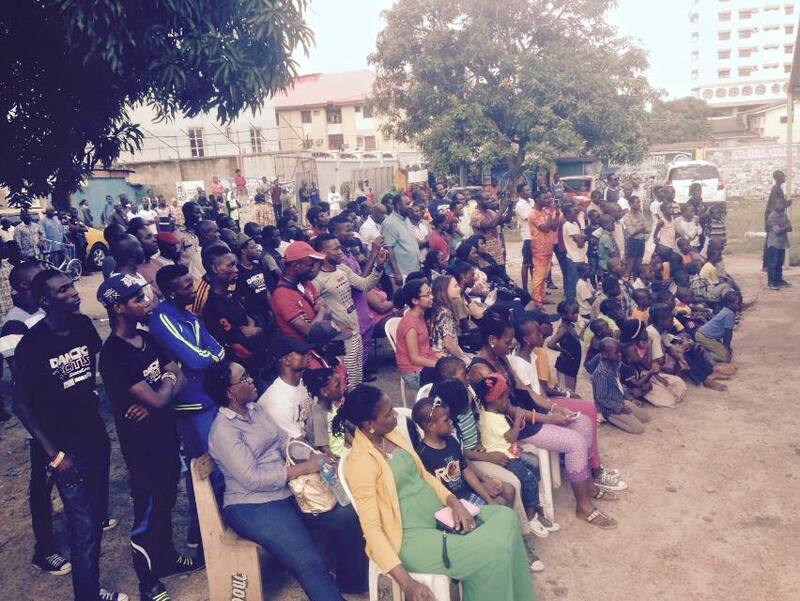 In June 2015, the EYDI hosted Dance for the Youth of Etiosa in conjunction with Q Dance Centres and Society for the Performing Art of Nigeria at Ikoyi. 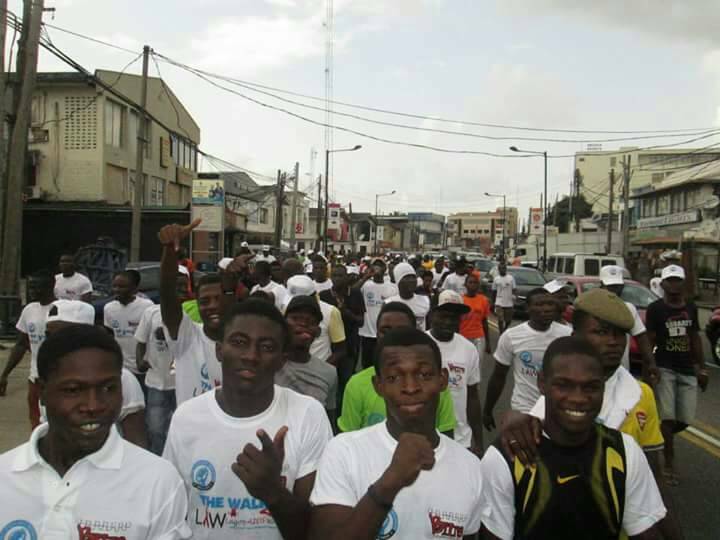 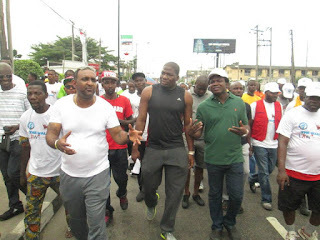 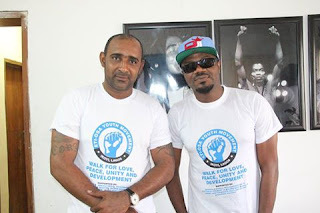 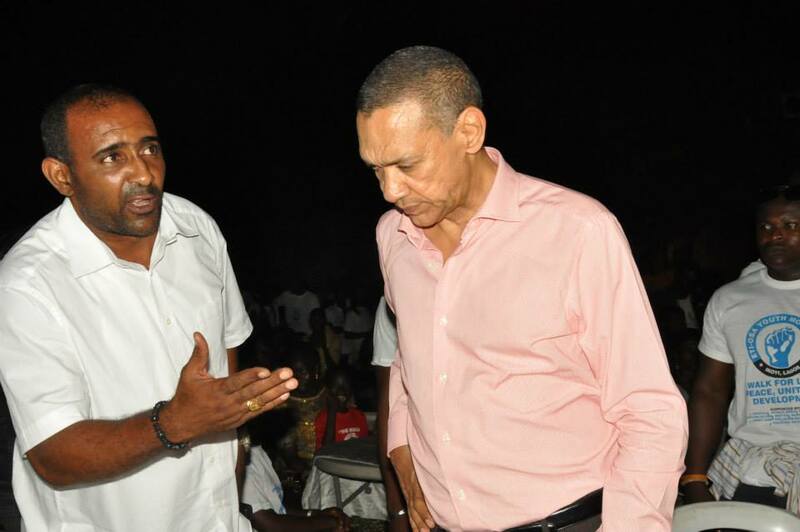 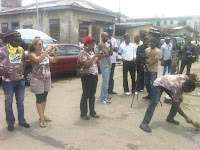 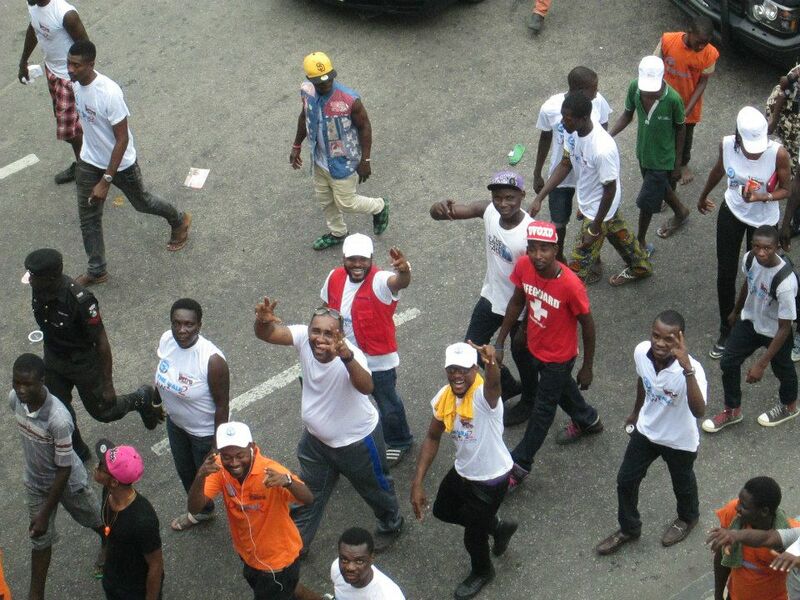 It started the THE ANNUAL ETI-OSA WALK FOR LOVE, PEACE, UNITY and DEVELOPMENT which comes up every December. Prominence who have supported this course are Hon. 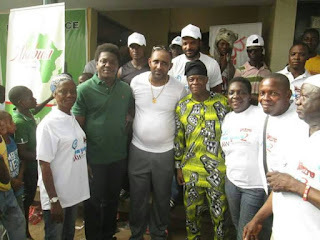 Wale Edun; Rasheed Muri Okunola, Aamuwo Odofin LGA Chairman 2013; Senetor Ben Murray Bruce, Chairman Sliverbird Group; DJ Jimmy Jatt and many others. 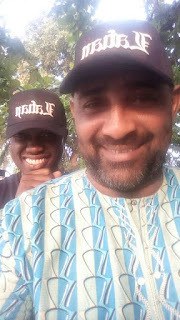 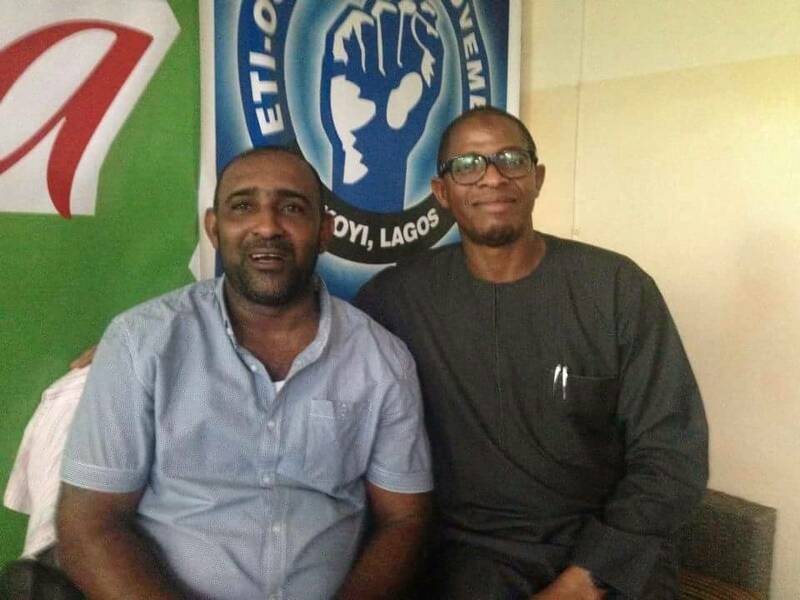 Deji Laurent, Rasheed Muri Okunola, Hon. Ayodele Adewale and members of the House of Assemby at the Eti-Osa Annual Walk for Peace and Unity. 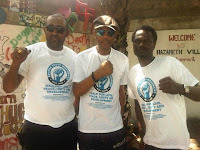 From left, Deji Laurent, Jeffrey Daniel Shalamar (Late Micheal Jackson's Choreographer for over two decades) and Razak Ivori, a trustee at EYDI. 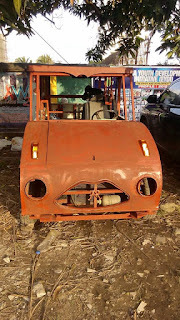 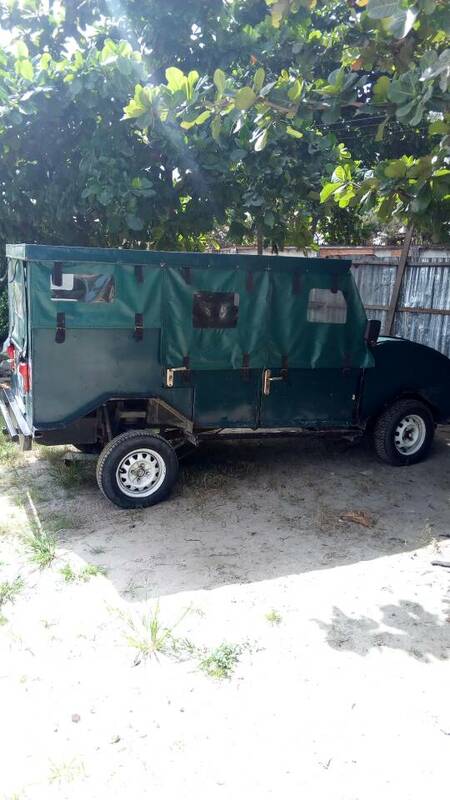 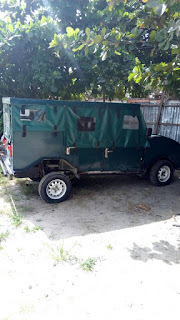 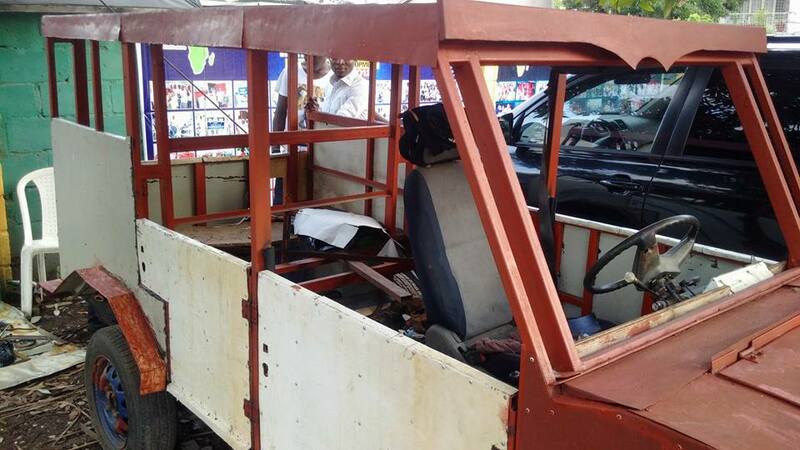 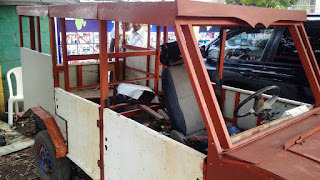 The EYDI is not missing in technology as the are the backbone of Mr Sunday, a popular automobile constructor who builds cars in Ikoyi-Obalende. 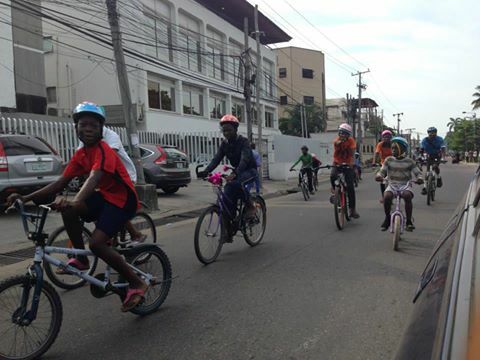 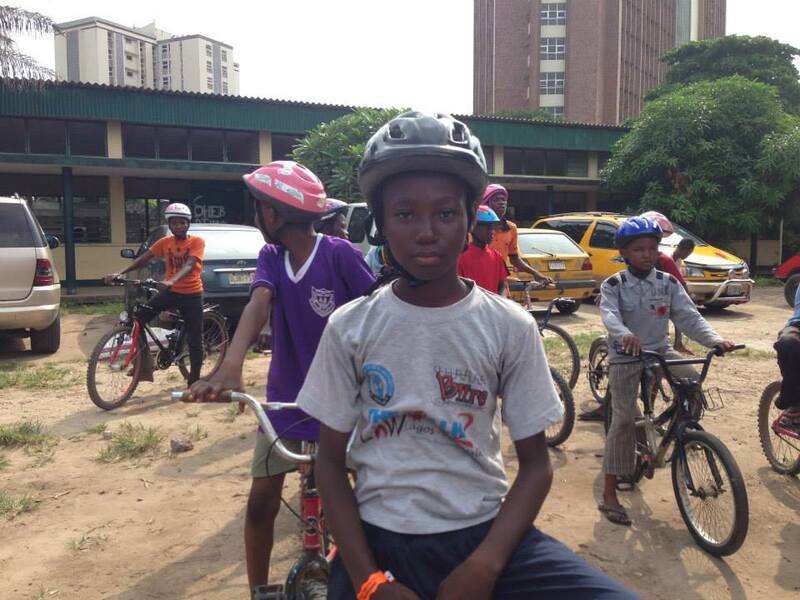 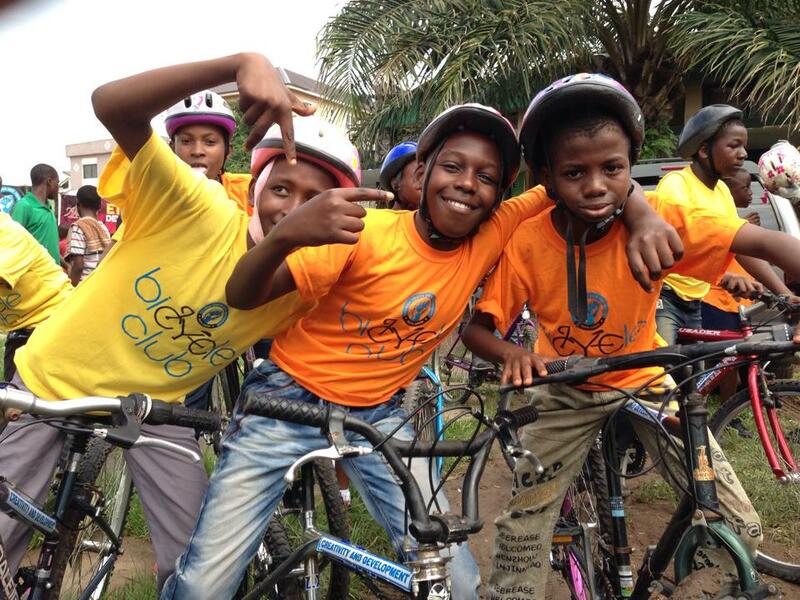 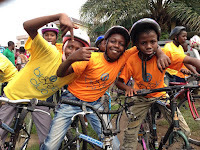 On 8th May, 2014, it considered kids from the Community by creating the EYDI Bicycle Club for children between the ages of 7-16 in Ikoyi-Obalende. 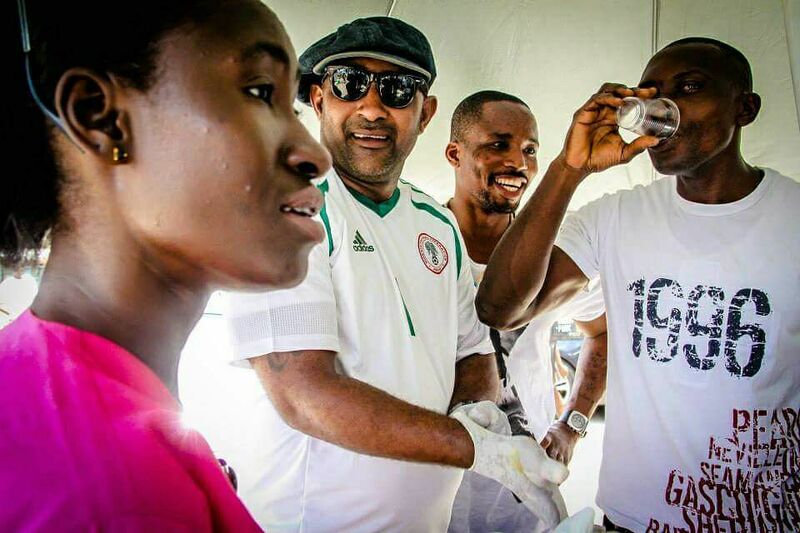 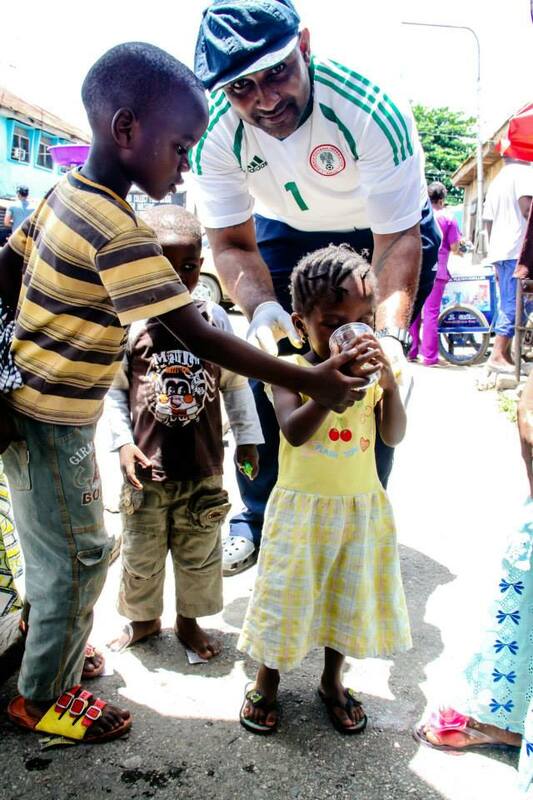 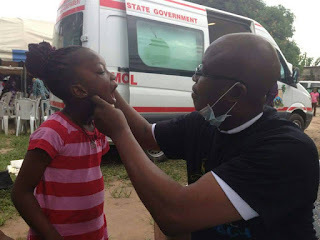 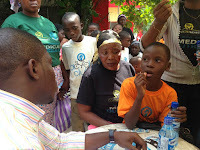 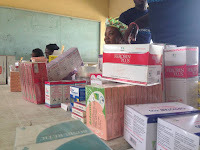 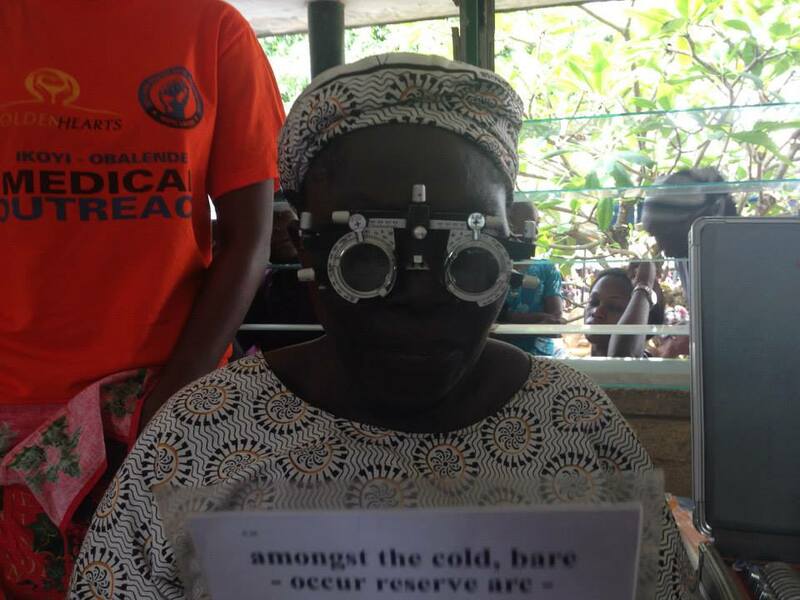 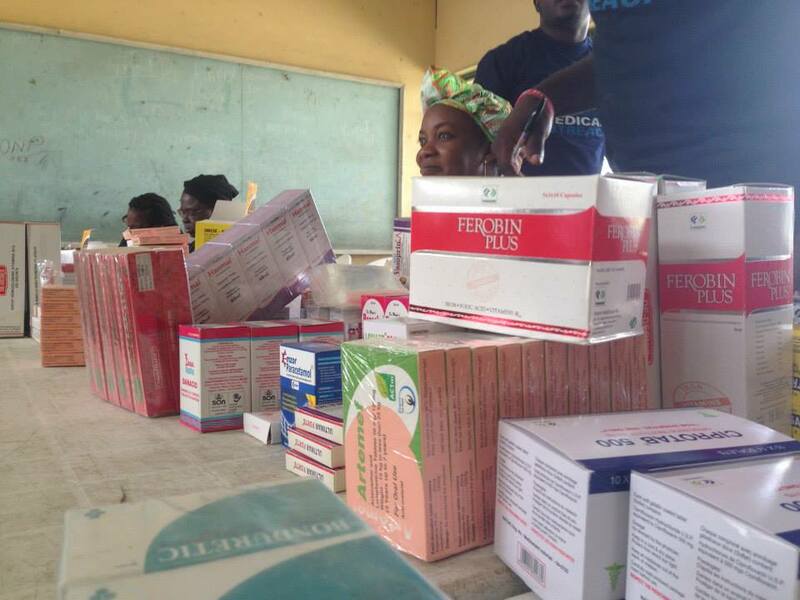 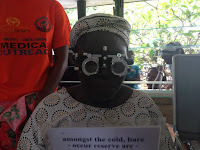 EYDI also colaborated with Golden Heart Touching Lives Initiative, on a Health Care Program in Ikoyi-Obalende LCDA, Eti-Osa, which provided services (treatment and checkup) to over 1000 residents. others are Back To School program, to support pupils and parents. 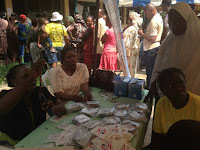 First 100 pupils got school bags and other educational materials. 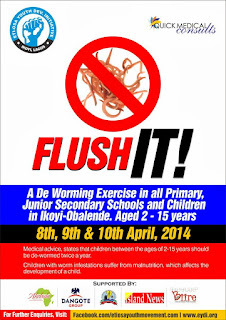 and Flush It - a Deworming Exercise in all Primary, Junior Secondary Schools and Children across Ikoyi-Obalende. These are some of the many things Deji Laurent's office has done when not in "power". Their office has been in existence since 2013 and is located at 7 Oyekan Abayomi Drive, Ikoyi - an interesting Waterfront Home. 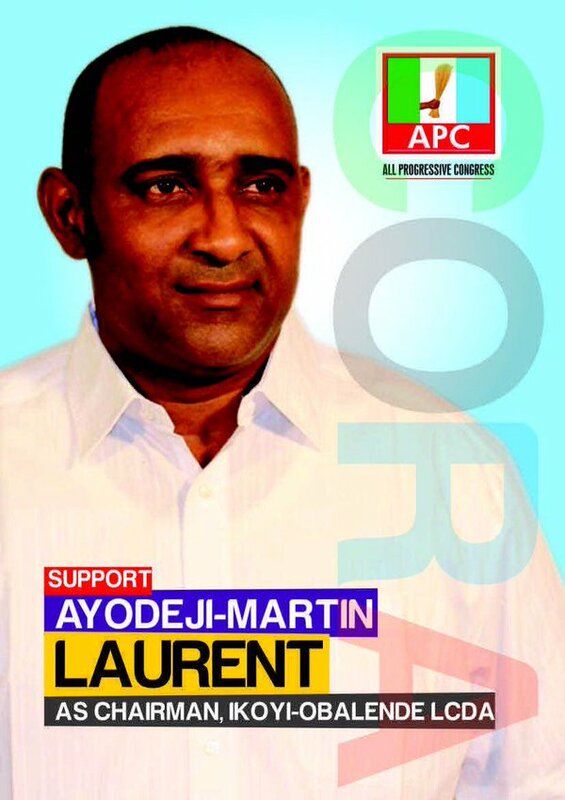 Don't you think it will be smart voting Ayodeji-Martin Laurent as Chairman, Ikoyi-Obalende LCDA? 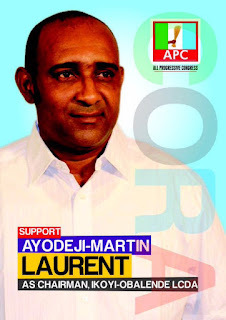 Do you think the All Progressive Congress should give him a chance?